A while ago I changed the drive belts. The tight engine compartment makes getting good photos hard, so I'll just say that it is easiest to swap them out from underneath the car with your head by the driver's side wheel. 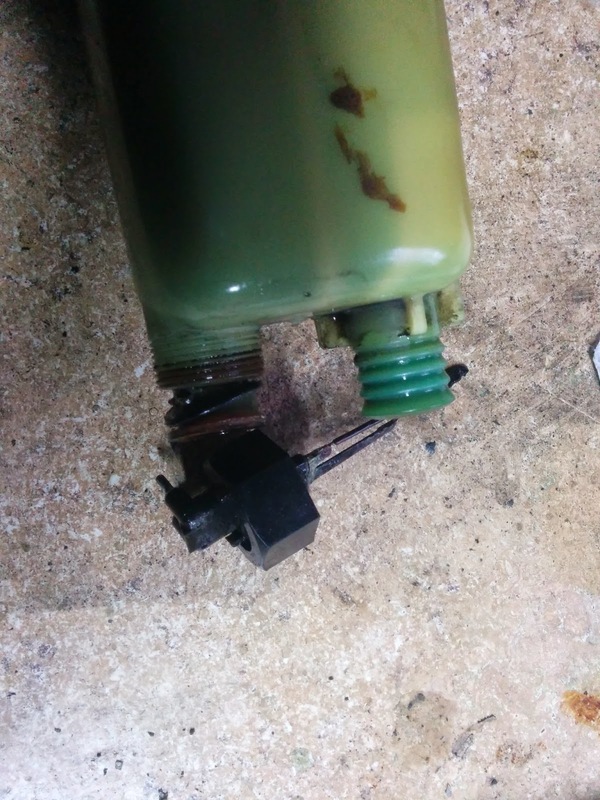 On top of that, while changing the spark plugs I noticed that some of the spark plug holes were full of oil when I was changing the plugs (not inside the cylinder, the recess the plugs go into). 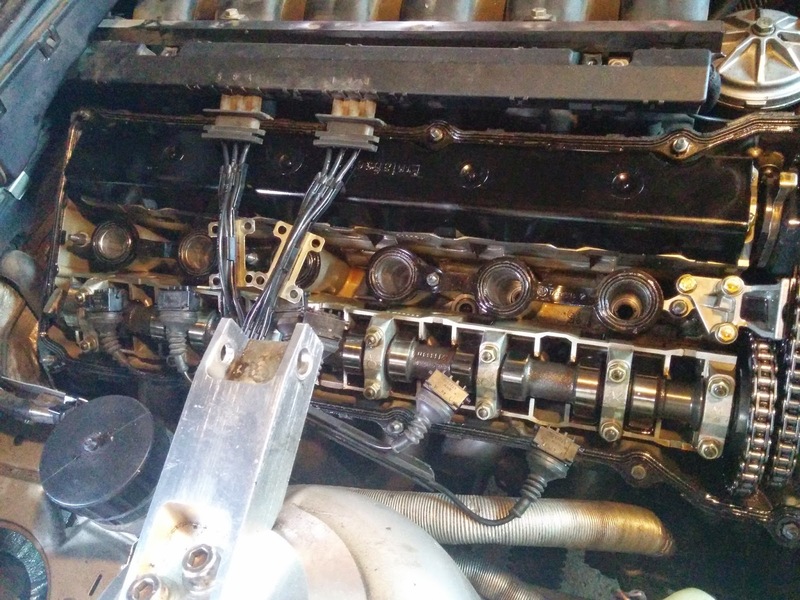 There are gaskets for these, but changing them requires that the valve cover be removed. This means that the valve cover gasket must be swapped out too, leaking or not. It is important to mention that the gasket is different on pre-VANOS and VANOS equipped cars. Be sure to get the correct gasket. Just as before I removed the decorative cover from the engine, the coils, and the spark plugs. Next the valve cover came off. I should mention that the rear driver's side bolt for the valve cover is a little bit hard to reach. Be careful that you don't drop it someplace that it cannot be found, because it is a special item that they don't carry at the hardware store. A decent auto parts store will be able to order one for you. With the cover off, we can see the old gaskets. They can simply be removed by pulling them off. 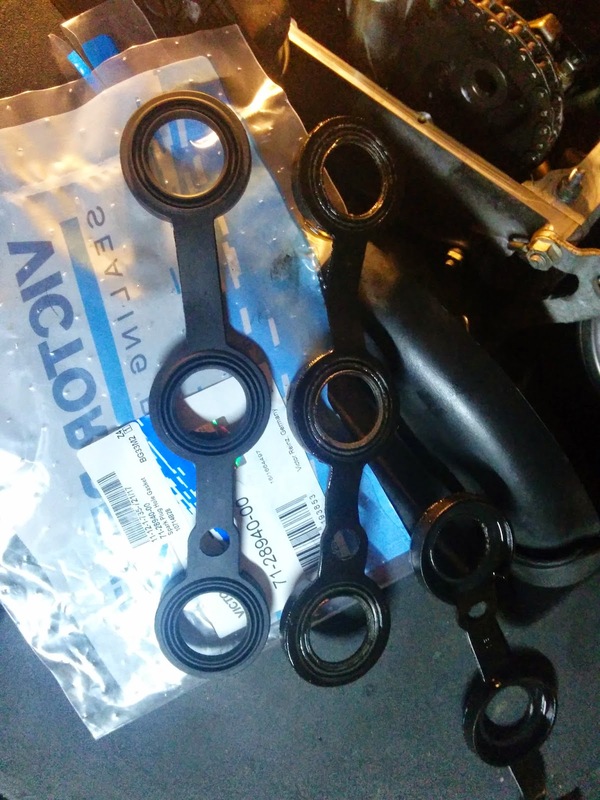 The old gasket is on the right, and the new one is on the left. The old gasket has hardened significantly and doesn't even feel like it's made of rubber. It is not surprising at all that it was leaking. Re-installation was a simple but unphotographed process. 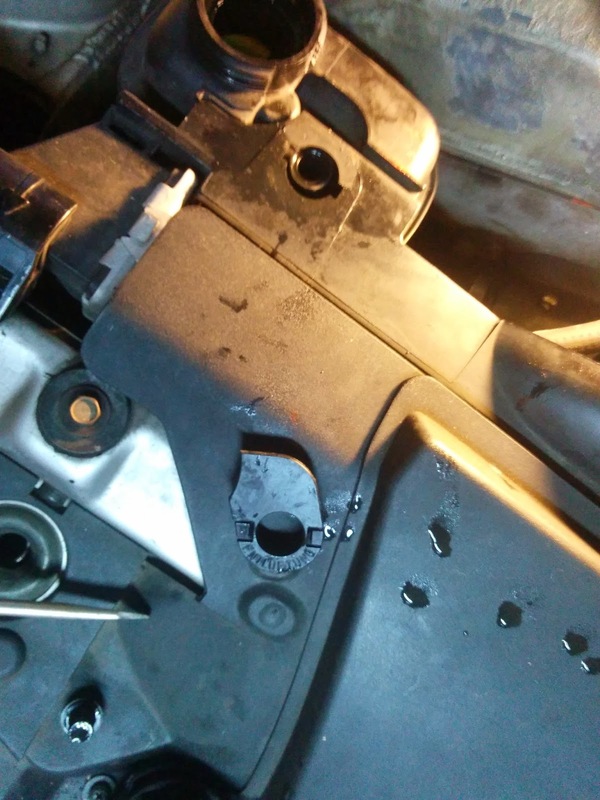 I did use a small amount of RTV at the corners of the gasket and inside the half moon cutouts at the back of the engine. Another problem I was having is that the car was claiming it was low on coolant, even though it was not. 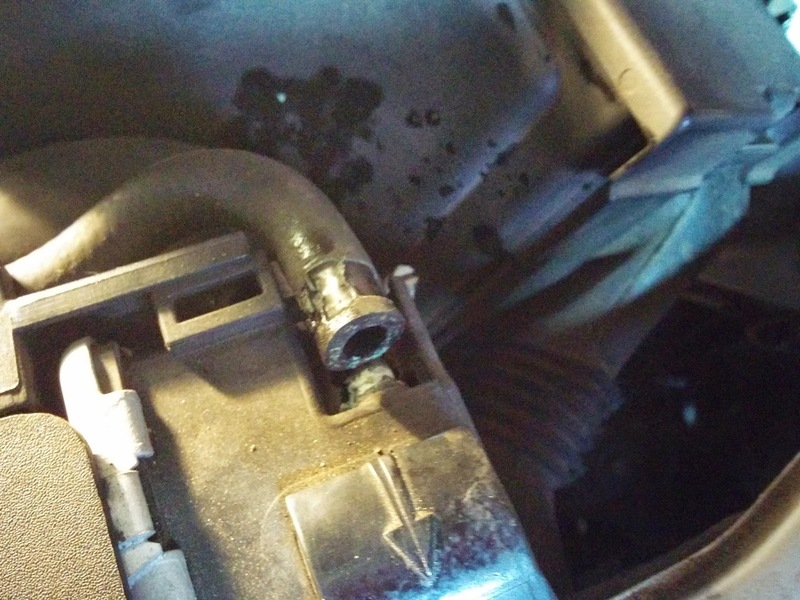 The issue in this case was a bad coolant level sensor, located at the bottom of the radiator overflow tank. 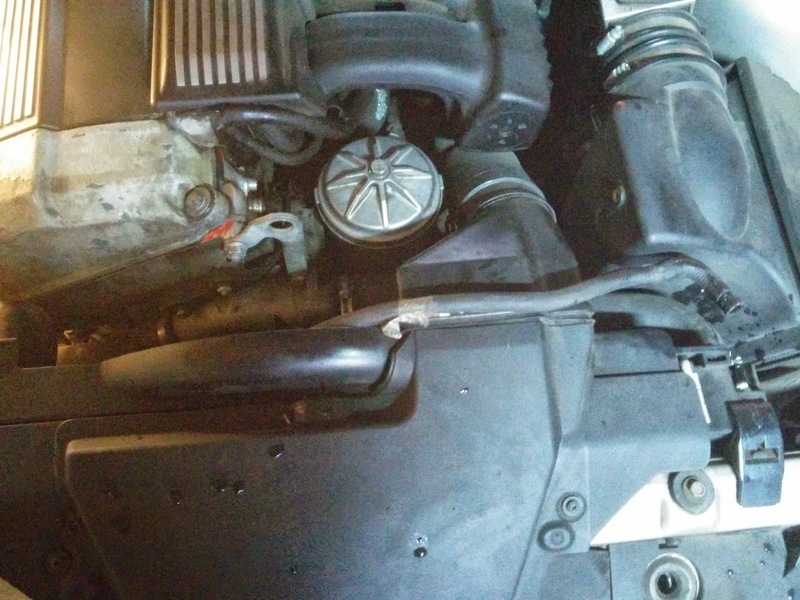 There are two hoses that connect the overflow tank to the radiator. First I unhooked the top one from the radiator (driver's side). After that I carefully worked the hose free from the fan shroud. The next step was to remove the bleeder screw and the retaining clip from the tank. At this point in time you can move the tank around freely. 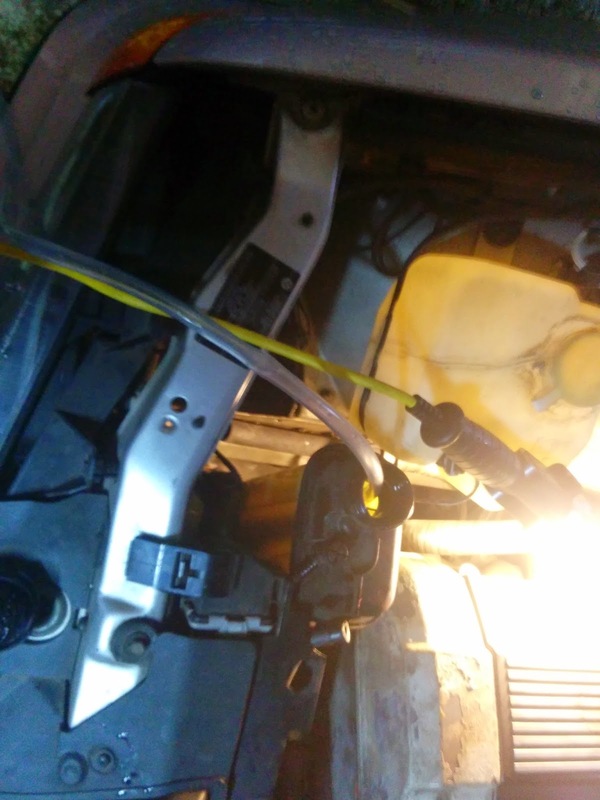 I disconnected the other end of the top hose from the tank and pumped as much coolant out as I could with a hand pump. There is a second hose on the bottom and an electrical connector for the sensor. I removed both of those as well. When I removed the old sensor, it came out in pieces. Reinstallation was the same job, but in reverse order. I am happy to say that I no longer have a stupid warning about being low on coolant when I in fact have plenty.